As birthdays keep coming around wouldn’t it be nice to feel like you were “youthing” instead of “aging”? That balance and clarity were growing, instead of fading? Never fear as new approaches are showing promising results in reversing the signs of aging, even in cases of brain deterioration diseases, such as Alzheimer’s. Alzheimer’s is the most common cause of dementia. About 4.5 million older Americans suffer from the disease. It begins to develop early in life, driven by your genetic makeup, lifestyle, diet and environment. Drugs, alcohol and the buildup of toxins over the years affect our brain’s ability to function efficiently. Several medications on the market can reduce some of the symptoms, but they don’t seem to impact the cause of Alzheimer’s. The number of cases is expected to quadruple by 2050. 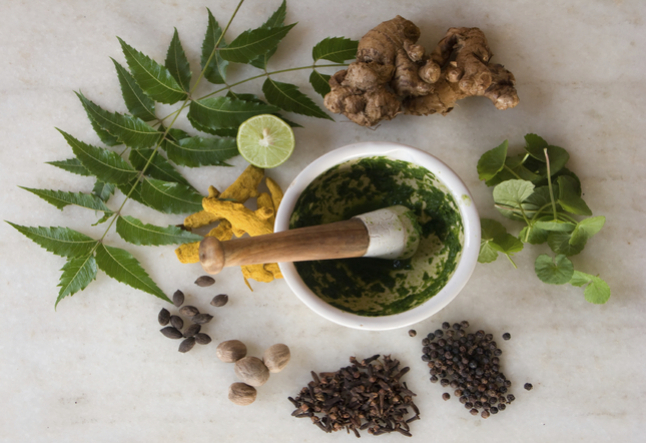 Experts trained in Maharishi Ayurveda, a revival of an ancient system of natural health, use pulse assessments to determine specific imbalances in the physiology of an individual. This could predispose one to the onset of Alzheimer’s or other neurological disorders. Personalized treatments are then designed to include specific recommendations for lifestyle and diet. Early diagnosis and treatment of Alzheimer’s Disease make it possible to delay, if not reverse, the symptoms. A PET scan or MRI may detect and track early pre-clinical changes as early as 30. Showing variations in brain metabolism, blood flow and receptor functions. Another recent finding is the role of glial cells in the very early stages of the disease. Glial cells play a role in maintaining the myelin (insulation) of the brain and influence the brain’s connectivity. This usually deteriorates after the age of 30, triggering mental decline. “Whatever strategies permit healthy functioning glial cells could delay or prevent many age-related brain problems,” notes neuroscientist Alarik Arenander, Ph.D. In Ayurvedic understanding as we age our brains and bodies gradually become more agitated and dry. This is seen as the “shrinking” effect of Alzheimer’s on the brain. This “drying” effect can be remedied by a health-driven diet, smooth digestion and routine eating patterns. The anti-aging practices of the Maharishi Ayurveda tradition wake up the body’s own inner intelligence so that it can heal itself. In Ayurveda there are three primary forms of intelligence in the body - termed vata, pitta, and kapha – and each is responsible for different bodily processes, such as movement, digestion or stability. As we age, the forms naturally shift importance. In the later years for example, vata becomes predominant with its qualities of motion and communication, tending to make our minds and bodies more unstable, drier, and more agitated. This greatly increases the likelihood of disease, including stroke and dementia. The secret to successful aging is to keep the three in balance. By increasing the kapha aspect, you increase longevity by adding stability and lubrication. By decreasing vata, the drying, agitation and disruption of the mind and body become less. To achieve this, the Ayurvedic practitioners individualized recommendations of diet, exercise and specific anti-aging treatments to promote balance and nourishment to the brain. This helps counteract the brain’s natural “drying” tendency and establishes an optimum level of mental and physical functioning. Ayurvedic practitioners use a variety of techniques, including pulse diagnosis, to pinpoint the specific imbalances in an individual’s physiology, many of which may be asymptomatic. After the individual assessment, the practitioner can then create a personalized treatment program to address particular needs. Many of the treatments utilize individually prescribed, herbalized oils. The slightly warm, nourishing oil penetrates deeply into the tissues to loosen impurities. In one of the traditional treatments known as Shirodhara for example, a soothing flow of herbalized oil is poured gently and slowly across the forehead, creates a delightful and profound relaxation that settles and balances the entire nervous system. Another treatment focuses on the nasal passages, considered in Ayurveda to be a key connection to the brain. This procedure is also helpful for chronic sinusitis and allergies. 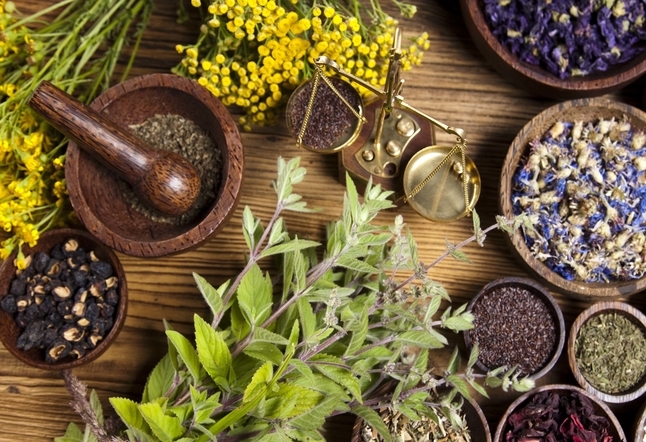 The Ayurveda Health Expert will also frequently suggest herbs to improve brain circulation and reduce cellular stress. These types of treatments are known to promote longevity through reducing cardiovascular risk factors such as lipid peroxide, total cholesterol levels, blood pressure, anxiety, and toxins, such as lead, PCBs, and dioxins. Set yourself on the path to a healthy and youthful brain by beginning to care for this part of your body just as you would any other organ.